The product "Model display cabinet M Raceland upright format, 100% dustproof, color limba wood" was successfully added to your wishlist. 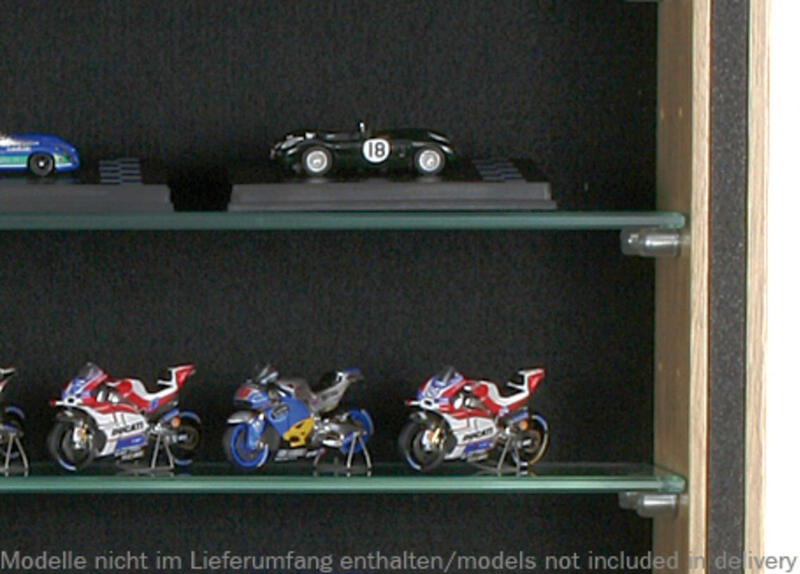 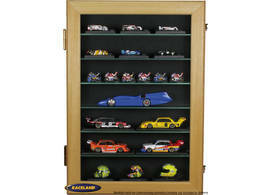 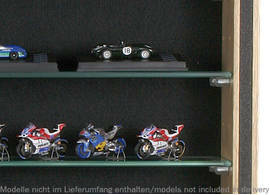 This high quality solid wood wall display cabinet is our entry-level model for a small collection of 1/43rd scale model cars or model bikes and can also be used for smaller scales such as 1/87th H0 scale. 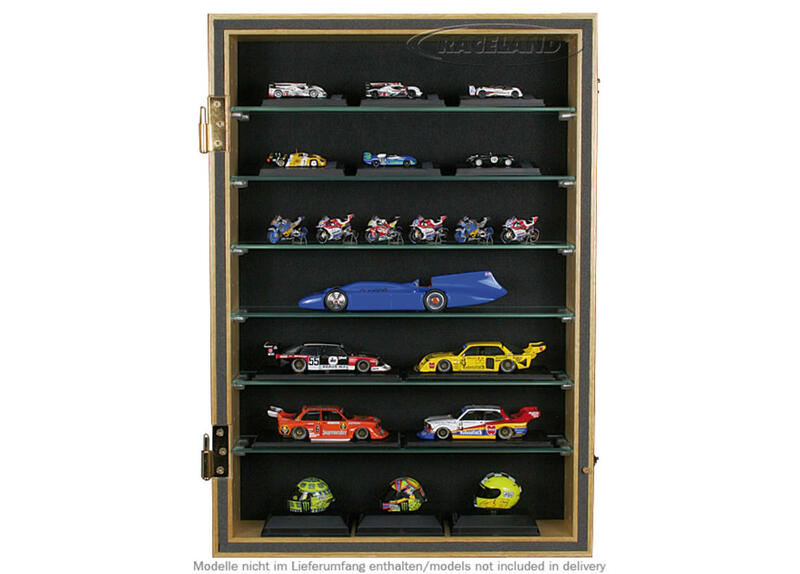 A 100% dustproof solution to protect and display your favorite collectibles in a high-end piece of furniture made in Germany. 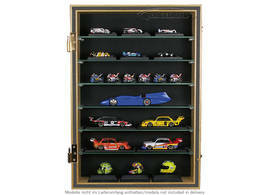 Sorry no overseas shipping for this item.Outer dimensions: height 51 cm, width 36 cm, depth 10.5 cm.Available inner depth: 7 cm. 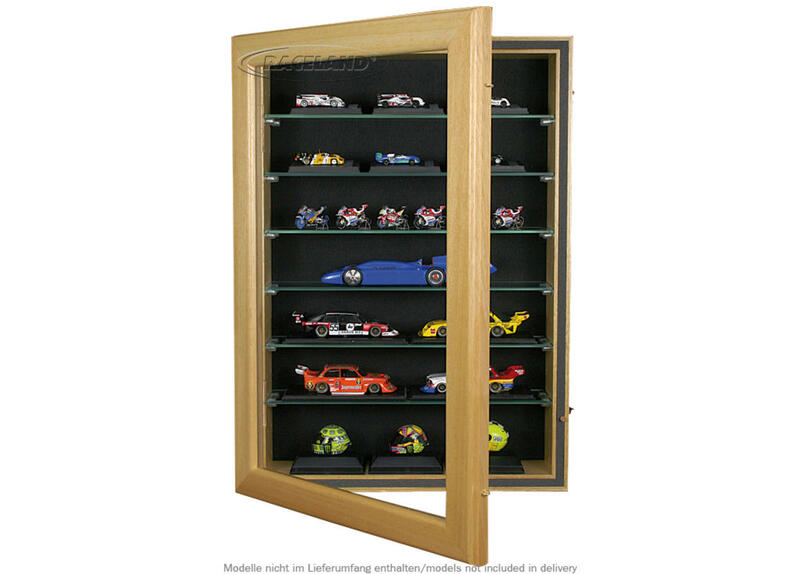 Number of tiers: 7 with 6 glass shelves.Color of wooden body and door frame: limba wood nature.Color of back panel: black.Technical information: massive limba wood used for door frame and carcass, real glass front, glass shelves with polished edges, back panel covered with cloth. 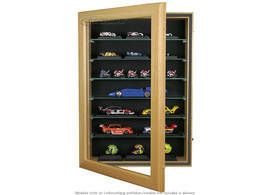 Shelf supports and fastening material such as screws and wall-plugs included, embedded dust seal.